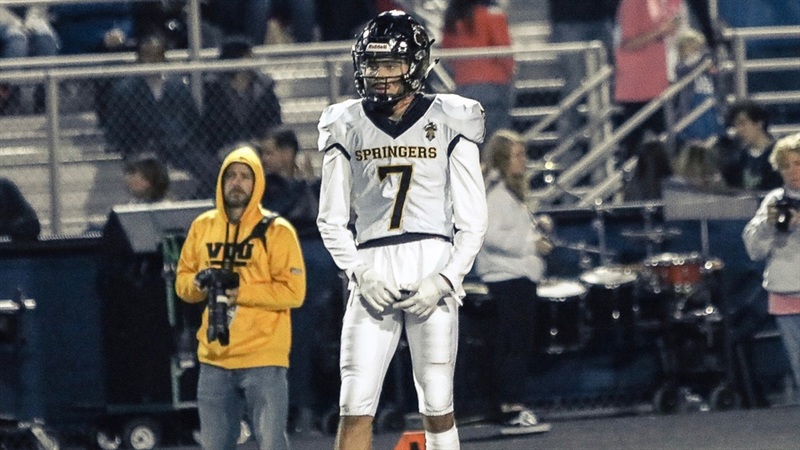 David Laney‍ has watched Notre Dame from afar and this weekend, the 2020 Virginia athlete will have a chance to see it and experience it up close. “Notre Dame had sent me invitations through my school and my head coach would give them to me,” Laney explained of the communication he’s had with the Irish so far. “I came up to my dad one day and asked if I could go to this game. He said, ‘Yeah.’ So, we got plane tickets to go and I’m on my way there this weekend. The Highland Springs, Va., native is excited to learn more about Notre Dame. “The coaching staff, how they coach their players, their relationships with their players and just the atmosphere of the game itself,” he said. Laney currently has offers from Virginia, Louisville and Purdue. “It feels amazing knowing I have three full scholarship offers as a junior,” he said. He could play multiple positions, but expects to wind up in the defensive backfield. Comfort will be a key when it comes time for Laney to pick a school in the end. He’s taken an unofficial visit to Virginia this fall, but Notre Dame is the only other one planned at the moment.